Have you ever received a notice from a bankruptcy debtor or a bankruptcy trustee demanding the return of monies or the value of property transferred to you by the debtor within ninety days of the date the bankruptcy was filed? Have you been stunned to learn that your customer, now a bankruptcy debtor, not only failed to pay you all amounts that were due, but now is demanding return of a payment that you did manage to squeeze out of him prior to the bankruptcy case? If so, then you have entered the world of “preferential transfers in bankruptcy” which is a difficult one to navigate for the uninitiated. This article should assist you to understand the concept of preferential transfers, give you insight into possible defenses to the claim and suggest a strategy to implement your response. Of property of the debtor. To or for the benefit of a creditor. For or on account of an antecedent debt owed by the debtor to the creditor. Made while the debtor was insolvent. Made within ninety (90) days before the bankruptcy filing. That enables such creditor to receive more than it would under a case under Chapter 7 (liquidation). If you are the recipient of a preferential transfer, namely if you receive payment from a customer on an old debt within 90 days from the filing of a bankruptcy by the customer, then the Bankruptcy Code requires that you disgorge it to the bankruptcy estate. This can work a severe financial hardship, especially if the debtor already owed your company a substantial amount of money when the bankruptcy was filed. How can you avoid or lessen the effect of the preferential transfer statute? One of the keys to avoid having to return such a payment lies in the definition of a “preference.” Can you argue that the transfer is not a preference at all? The other main defenses to a preference claim are set forth in the Bankruptcy Code itself. In order for a payment or transfer to be subject to recall, it must meet all of the specific criteria set forth in the Bankruptcy Code. It must be a transfer of property of the debtor. This most frequently is a payment of money, but can also represent the transfer of inventory or other property of the debtor to a creditor. The transfer must be in payment of an “antecedent” debt. In other words, the payment by the debtor must have been in satisfaction of an old or preexisting debt owed by the debtor to the creditor, as opposed to a current obligation. The transfer must be made within ninety (90) days of the date on which the debtor files its bankruptcy petition. This time period is strictly construed, so transfers which fall just outside the period, for example on the 91st day before filing, do not meet the strict statutory criteria. Such payments cannot be preferences. This raises questions about when exactly a transfer occurs, which could avail you of a successful temporal defense to the claim. The Bankruptcy Code contains a presumption that all transfers made within ninety (90) days before the filing of the petition are made at a time when the debtor was insolvent. Thus, unless there is a significant issue about the solvency of the debtor during the preference period, this presumption usually will prevail. Finally, the transfer must also enable that creditor to receive more from the debtor than it would under a Chapter 7 liquidation. If all the requirements are met, and if a preferential transfer is called back, then it does give rise to a claim by the creditor against the debtor estate in the amount of the disgorgement. However, this is generally little solace for the creditor, since bankruptcy cases usually take years to pay a dividend to creditors, and the amount is often only pennies on the dollar. Thus, it is most important to avoid as much of a preferential transfer as is possible. How Do You Defend Against The Effect Of The Preference Statute? There are several statutory defenses available to a creditor who receives a payment, in addition to arguing that the transfer was not, in fact, a preference. Probably most well known is the “ordinary course of business” defense. This defense is provided in the Bankruptcy Code and covers payments made by a debtor which are in the normal and ordinary course of that debtor’s dealings with the creditor. For example, a payment on account of an invoice which bears terms of net (30) would give rise to the defense if the transfer by the debtor was in fact made within the thirty (30) day period. This would constitute a payment on a current obligation. However, as is often the case, payments by soon-to-be debtors are often late, quite beyond the terms of the invoice or the creditor’s normal practices, and such payments which may be made forty-five (45), sixty (60) or ninety (90) days after the date of the original invoice are almost invariably found not to be “within the ordinary course of business.” If a defense does not apply, the creditor in most cases must return some or all of the transfer. Another defense which is recognized in the Bankruptcy Code is referred to as “contemporaneous exchange for new value.” In this defense, the creditor must show that, at the time it received payment from the debtor, it transferred to the debtor a new value, usually consisting of product or services, in contemporaneous exchange for the payment. Each of the elements of this defense must be established, and the burden of proof as to each element rests upon the creditor. In order to prevail on this defense, the creditor must prove that it and the debtor intended to exchange payment for the new value, and that the transfer or payment was in fact a substantially contemporaneous exchange. The most clear example of this would be a COD transaction where product and services are not supplied unless payment is immediately tendered. However, many transactions are not this clean, and it becomes a matter of argument as to whether a payment which is made by the debtor close in time to the provision of the product or services satisfies the “contemporaneous” requirement of the defense. Court decisions have generally not afforded much latitude to transactions which are not virtually simultaneous for purposes of this defense; however, creative arguments can be made on your behalf which might allow you to negotiate a compromise of the amount of money returned to the bankruptcy estate. 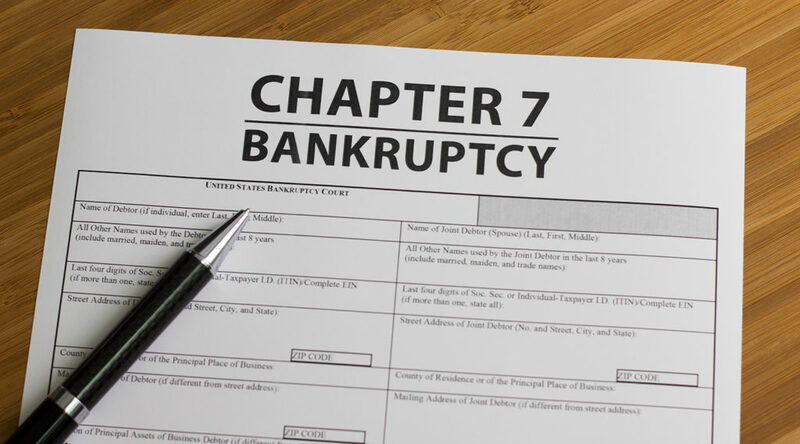 The Bankruptcy Code also offers other defenses, but those generally do not cover normal transactions between creditors and debtors, but may apply if the transaction includes unique facts such as lien releases and other factors. A creditor receiving a preferential transfer notice must act quickly. The Bankruptcy Code contains many deadlines, most of them short and which are strictly construed by the courts. A prompt response to such a notice is a must. Due to the technical nature of the preference statute, a prompt response from your legal counsel is advised. This response will analyze whether the transfer is “preferential” at all, under the strict definition in the law. If it appears on its face that the transfer may be preferential, the next level of analysis is whether any defenses apply to shelter some or all of the payment. This analysis requires a thorough understanding of the facts of the case, the timing of the payment and of the transfer, and of all the available defenses. Often, a successful result can be achieved through such a legal and factual negotiation.